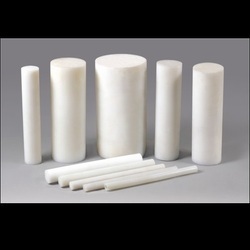 Pioneers in the industry, we offer hm hdpe sheets and hm hdpe rods from India. 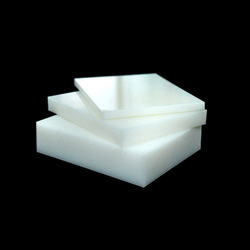 Banking on our vast industry experience, we have been able to offer HM HDPE Sheets. To manufacture these sheets, use of optimum-grade materials that are checked twice on various parameters to ensure maximum durability and sturdiness. Manufactured with the aid of advanced machinery and technology, these sheets exhibit various properties like resistant against moisture, dirt, and abrasion. Manufactured using High Molecular High Density Polyethylene (HMHDPE) raw material, these HM HDPE Rods are extensively used as wear or abrasion resistant components. These rods exhibit excellent mechanical damping ability, good combination of stiffness, toughness, and wear & abrasion resistance, owing to which demanded to be used in troughs, conveyors, chutes, tension bars and liners. Also, with the help of our logistic team, we have been to dispatch our range of rods in stipulated time-period to the clients' end. Looking for HM HDPE Sheets and Rods ?